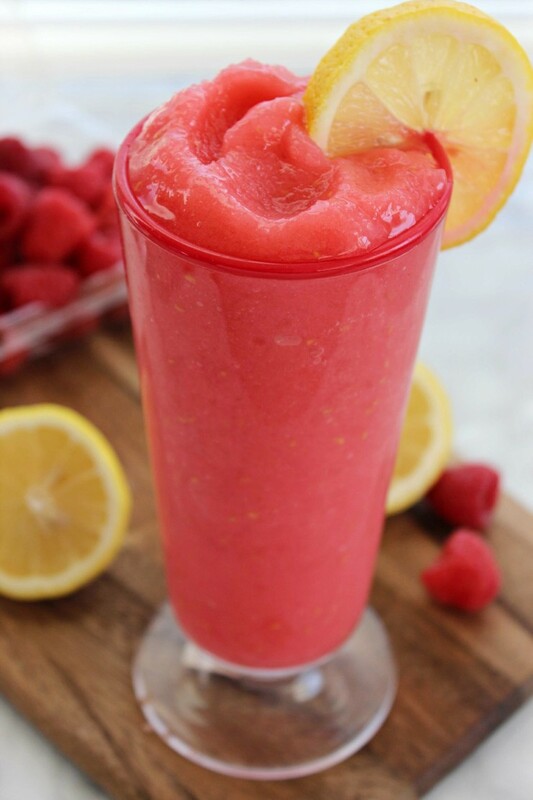 Made with real fruit this frozen Raspberry Lemonade Slushie is a real treat and an easy way to cool down from the summer heat. Growing up I can remember summer days spent by our pool. We had this wooden table with two chairs attached on either side that was painted a dark red. I’d love to sit in one of those chairs and sip on something cool. I don’t even know what my parents did with that old outdoor furniture. Isn’t that funny. I was thinking of my childhood summer memories the other day and just felt like I wanted to bring some of it back with the flavours of my childhood… with a twist! 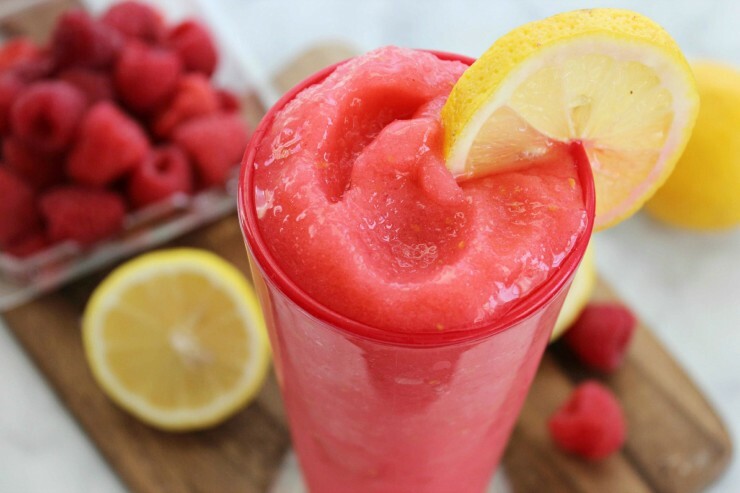 So I introduce to you this amazing Raspberry Lemonade Slushie! Wow! I pinned this recipe to try soon! I love fresh lemonade! 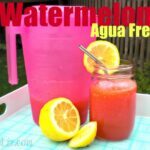 What a refreshing looking drink!!! And with this heat wave we are having, I just might have to whirl up a batch. Thanks for sharing. And once again your photos are amazing!! Too thick – did I miss a liquid ?? When fresh raspberries are too much just buying the frozen works great too! Thanks! I loved this! The only thing I would suggest is adding less sugar, but that’s a personal preference. Very delicious!